This past weekend I put some ingredients together and made some delicious stir fry. 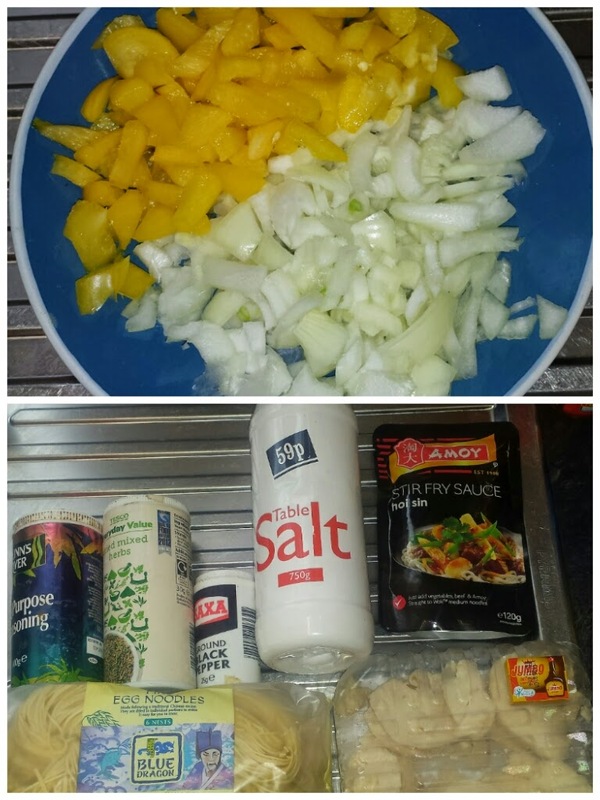 I like cooking stir fry because it is quite simple to make and there are many different ways of doing it. 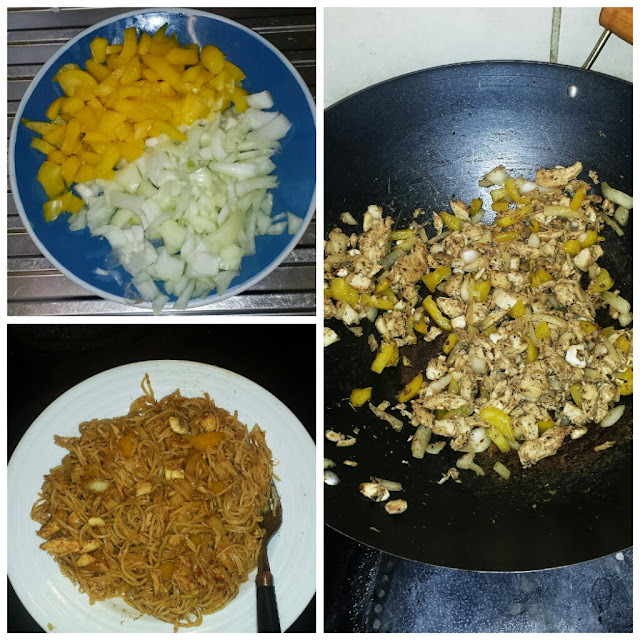 1 onion (chopped), 1 bell pepper (chopped), 1 table spoon of all purpose seasoning, 1 table spoon of mixed herbs, a dash of salt and pepper, 1 sachet of hoi sin stir fry sauce, 4 nests of fine egg noodles, 240g of chicken chunks, 1 stock cube and a table spoon of oil. 1. Place the oil and the chicken in a wok on medium heat and add the all purpose seasoning, mixed herbs, salt, pepper and the stock cube. Stir regularly for 5 mins. 2. Whilst the chicken is cooking, heat up the noodles in a separate pan with water for 3-5 minutes until it is soft. Once the noodles have reached the desired softness drain the water from the pan. 3. Add the chopped pepper and onions to the wok and continue stirring for 2-3 minutes. Then add the hoi sin sauce and continue stirring for 1-2 minutes. 4. Add the drained noodles to the wok and mix it together with the sauce until it is spread evenly. 5. It should now be ready to serve!